“Elite Care Wellness” center and its team have a holistic approach to health and wellness for better and hopefully a longer life. We believe that health wellness and beauty are three essential needs for healthy, happy and longer joyful life. Our view of our patient’s health looks toward graceful aging. We intend to treat the entire person, than a single organ or problem. Commitment to excellence is our goal. We have the state-of-art equipments to deliver the highest quality service and exemplary care to our patients. Our staff constantly thrives to meet and exceed patients health and beauty needs, while keeping up with the latest trends. Our Doctor, has been Board Certified in Internal Medicine. He is also a member to International Association Physicians in Aesthetic and weight loss Medicine, and to American Med Spa Association. Based on surveys through healthgrades, Dr. Vicken Poochikian is rated as “highly recommended and trusted physician”. 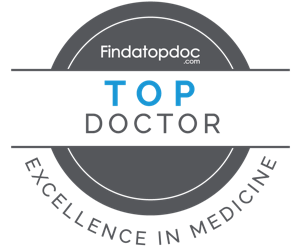 He is also rated by Healthtap as Top Internal medicine Doctor in Maryland. When you visit our conveniently located Bladensburg, MD facility (within 1 mile of North East Washington DC), you will be greeted by a warm, inviting, friendly team that wants nothing more than to help, educate and achieve your healthy aesthetic needs.